I mean, in the end, both Google and I want people to click my ads. So isn’t a better performing ad good for both parties? >Is it really that black and white? Given a choice between displaying a high CTR/low conversion ad (which makes the best profit for Google) and a low CTR/high conversion ad (which makes the best profit for you), I would guess that Google will choose the former. Why wouldn’t they? Feel free to run a test and tell me if I am wrong. 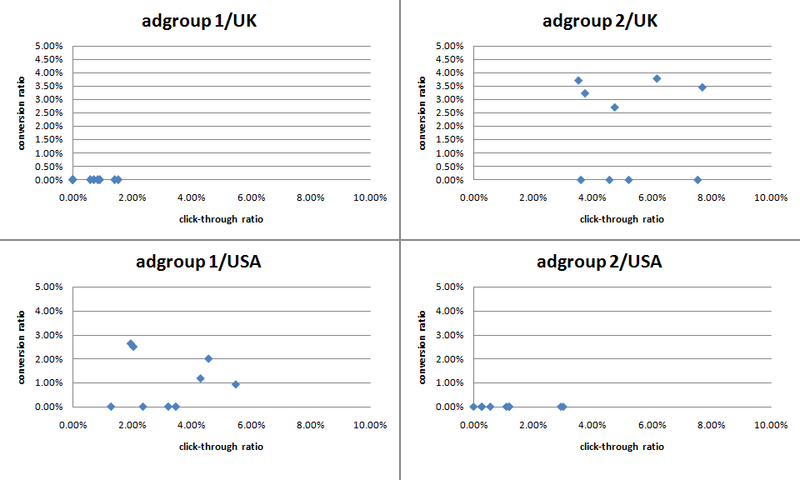 To add to Andy’s, I’ve run ad variations where the Optimize option barely rotated them at all, so getting enough data to compare the variations was impossible unless Rotate was selected. BTW, the UK / USA comparison was interesting. I have adgroups with similar behaviors.